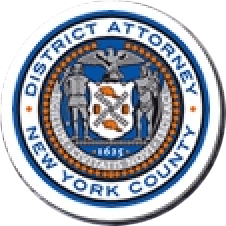 Manhattan District Attorney Cyrus R. Vance, Jr., today announced the indictment of TIONA RODRIGUEZ, 18, for murdering her newborn child in October 2013. RODRIGUEZ is charged in a New York State Supreme Court indictment with one count of Murder in the Second Degree. According to court documents and statements made on the record in court, on October 16, 2013, RODRIGUEZ delivered an approximately 8-pound male infant, born alive, in the bathroom of a friend’s apartment in Queens. The next day, security personnel at a Victoria’s Secret store in Herald Square stopped RODRIGUEZ and her friend for possible shoplifting, and discovered the deceased infant in RODRIGUEZ’s bag. The New York City Office of Chief Medical Examiner later ruled that the infant’s death was caused by homicidal asphyxiation. Assistant District Attorney Rachel Ferrari, Deputy Chief of the Child Abuse Unit, is handling the prosecution of this case with Assistant District Attorneys David Drucker, Eun-Ha Kim, and Carolina Holderness, under the supervision of Assistant District Attorney Nicole Blumberg, Chief of the Child Abuse Unit, and Executive Assistant District Attorney John Irwin, Chief of the Trial Division. District Attorney Vance thanked the NYPD’s Midtown South Precinct and Homicide Squad, particularly Detectives Thomas Schick and Jose Flores, for their assistance with the investigation.